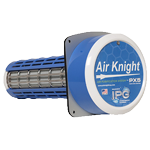 Air Knight Air Purifiers effectively remove bacteria, pollen, animal dander and other pollutants as small as 0.01 microns. That's 18,000 times smaller than the head of a pin. The higher the Minimum Efficiency Reporting Value (MERV), the more efficiently the cleaner removes particles. 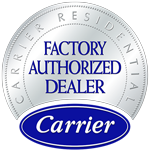 We offer air cleaners that range from MERV 10 to MERV 15 to meet your needs. For those families that have severe allergies, we also offer Whole House High-Efficiency Particulate Arresting (HEPA) filtration systems.